Born in 1925 in Roubaix (Northern France), Delerue studied with Darius Milhaud and Jean Rivier at the Conservatoire de Paris and started, soon after, what looked like a very promising career in concert music (I would love to hear his opera Le Chevalier de neige (The Snow Knight) based on Boris Vian’s play Les Chevaliers de la Table ronde.) Milhaud advised him to start writing for the theater, and later for movies. This led him to collaborate with a plethora of directors (French or not—he wrote the OST for Oliver Stone’s Platoon in 1986) from Nouvelle Vague auteurs (Truffaut, Godard) to more popular figures (Philippe de Broca, Gerard Oury, etc.) Delerue died in 1992 in Los Angeles. The French u is basically the only issue here, and should not sound like a oo. The two unaccented e in his last name sound like uh for English speakers. The final s in his first name and the final e in his last name are not pronounced. I discovered Delerue’s music when I was living in Italy, and was really moved by the track below, part of the soundtrack of La Meglio Gioventù by M.Tullio Giordana (2003). 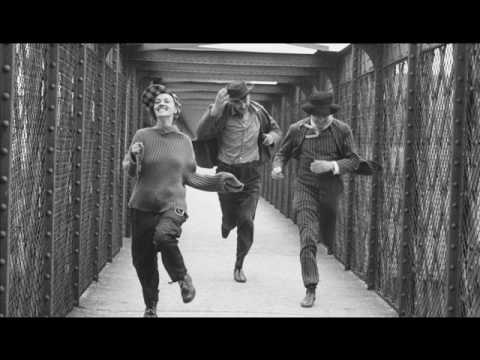 I realized later on that it was originally Catherine et Jim‘s theme in Truffaut’s Jules et Jim (1962).